The Philippi Horticultural Area Food and Farming Campaign have taken the City of Cape Town’s rezoning decision for judicial review. By Mary-Anne Gontsana for GROUNDUP. The Philippi Horticulture Area (PHA), Cape Town’s 3,000 hectare farmland which provides a significant quantity of vegetables for the city, still faces an uncertain future, 20 months after GroundUp first reported on the planned developments. Property developers are waiting in the wings and the matter is in court. Convener of the Philippi Horticultural Area Food and Farming Campaign, Nazeer Ahmed Sonday, approached the Western Cape High Court on 15 September for a review application of nine permissions granted by the City of Cape Town and the province for three different developments. Sonday said the Oaklands City Development Company is looking at a large development. Uvest (which trades as Exclusive Access Trading) is looking at two smaller developments, altogether comprising about 750 hectares. Sonday says the campaign will take the city’s permissions to the developers on judicial review on the basis that the Land Use Planning Act and the Spatial Planning and Land Use Management Act require the city to protect agricultural land. “By granting the developers permission to go ahead, they have not done (this). So this violates two national planning acts, and interferes with the mandates of the departments of agriculture, heritage, health, water, gender, land reform and environment,” says Sonday. 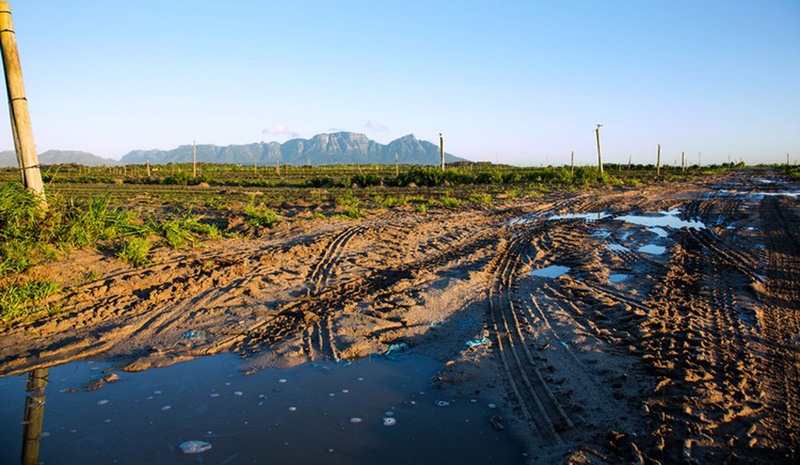 “Heritage Western Cape ruled in February that the land is part of the cultural landscape of the PHA, and cannot be changed from agricultural land to development as this will destroy the 130-year-old heritage area,” says Sonday.